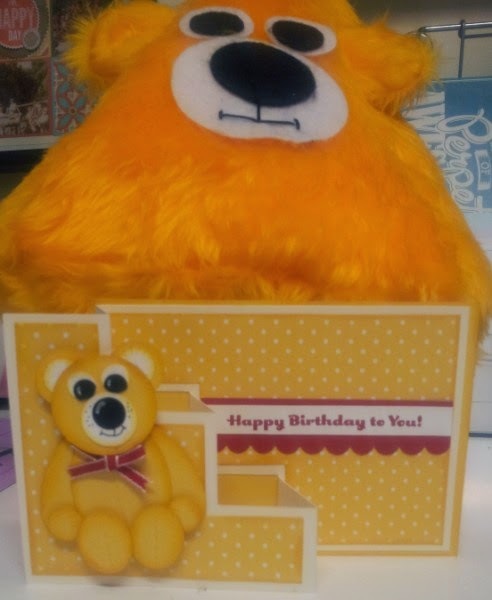 Julia's Cards: Happy Birthday Yellow Bear!! 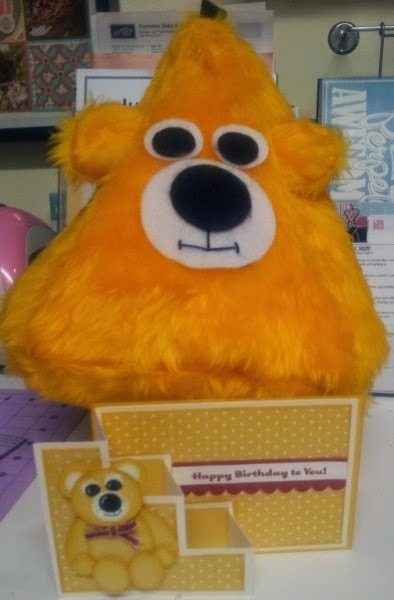 Yesterday was my good friend Paula from Yellowbear blog - HERE so this the card and pressie I made for her - to match her blog! hee hee. The 'yellow bear' is a book (or kindle or tablet) bean bag. I've been making a few of them lately! hee hee BUT I knew I HAD to make one for her that looked like a yellow bear!! sorry I forgot to put the link in my post - here is where it is -http://flowerbug.typepad.com/my_weblog/2014/02/step-out-fun-fold-card-free-tutorial-.html - I changed the measurements to fit NZ size cards etc. That's awesome Julia. You know my love of punch art. he's sooo cute. Yellow bear will love him and her yellow bear book rest.